TASS, March 30. Belgrade cannot yet formally recognize Crimea as Russia’s territory, since that would jeopardize the resolution of the Kosovo status issue, Serbian President Aleksandar Vucic told the Rossiya 24 TV channel. According to the Serbian president, Crimea’s recognition as part of Russia could be used by Western countries as a pretext to strip Serbia of its rights to Kosovo. "If we did it today [recognized Crimea as part of Russia], they would draw a parallel with Kosovo. They would say that, in accordance with that principle, Kosovo is likewise independent, and we no longer have the right to fight for it," he explained. 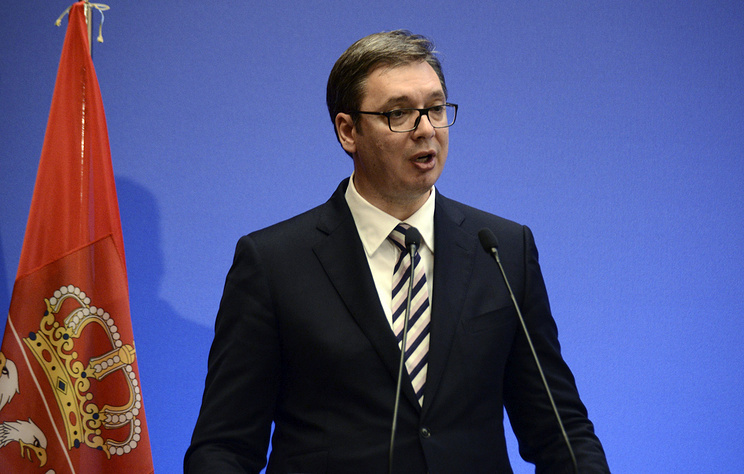 Vucic stressed though that this approach did not affect relations between Belgrade and Moscow. "Our close ties with Russia are not questioned by anyone. It is a question of political strategy and tactics, which implies that we have no right to endanger our vital state and national interests," he said. "I believe that any normal person in Russia and any other country understands that," Vucic concluded. The Serbian Autonomous Province of Kosovo and Metohija unilaterally proclaimed independence in February 2008. Over 60 countries, including Russia, China, India, Israel, Greece and Spain, oppose Kosovo’s recognition.